We are so excited to announce that our TifTuf is for sale in Perth, WA. With over 25 years of research and development from the University of Georgia; TifTuf Bermuda is set to change the playing field (excuse the pun) for turf in Perth and Western Australia as a whole. TifTuf was hand picked from over 30,000 different varieties of Bermuda and the main reason for this is its superior drought and shade tolerance. Not to mention its wear tolerance (higher then most other turf varieties on the market) as well as its ability to maintain its lush green colour during winter when most other varieties tend to yellow off. With a fine leaf blade and dense growth TifTuf is a perfect turf variety for the Perth residential market or even commercial use in larger open spaces. It has the ability to hand high traffic areas and with a fine leaf blade it maintains a high level of shade tolerance whilst still being soft under foot. What you need to know about TifTuf? TifTuf requires on average 38% less water then other turf varieties which means it is extremely drought tolerant; perfect for Perth water restrictions in summer. NPK - what does it mean and why is it so important? Knowing why NPK is important for your lawn will help you to understand how you are helping your lawn when you fertilise. For the most part, as long as you use a good quality fertilser that is suited to your turf variety (where all the scientific work has been done) your lawn will thrive. Lawn fertilisers come in many varying types and blends and can be quite confusing as to which is the right option for your. Grass is like any other plant - it takes in nutrients and air through the soil and sunlight through the leaves for photosynthesis where the conversion to sugars and energy takes place. The job of lawn fertilisers is to keep this in balance and help provide the nutrients that your lawn is lacking. (N) Nitrogen - Nitrogen is largely responsible for the growth of leaves on the plant and is the most talked about nutrient when it comes to lawns and is usually the highest percentage of your NPK ratio. Lawns love Nitrogen, but it is important to strike a balance between strong leaf growth and strong roots capable of supporting it as well. This is where phosphorus comes in. 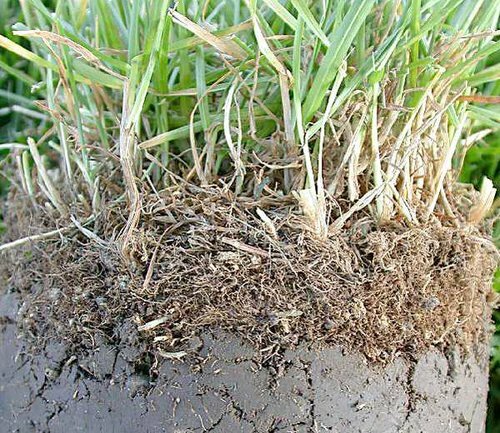 (P) Phosphorus - Phosphorus is largely responsible for root growth and is actually quite a low percentage of the overall NPK ratio. Phosphorus moves slowly through the soil, and isn't used in great amounts by your lawn. (K) Potassium - Potassium is a nutrient that helps the overall functions of the plant perform correctly. Potassium is an essential macro-nutrient used in the largest quantities by plants for vigor and growth. Potassium helps grass withstand drought and disease. IT also helps the plant to more effectively use Nitrogen. By Understanding how these nutrients effect the overall health of your lawn, you will be better equipped to identify deficiencies in your lawn and the tell tale signs of stress, which will help you know when it's a good time to fertilise. The original blog post can be found on the Lawn Solutions Australia website. 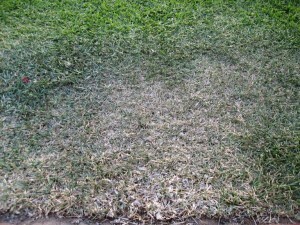 There are a number of issues that need to be addressed if your lawn is going off in summer. They can occur individually, or as an interrelation between two or more of them. The reasons have been listed in order of priority. The first cause is a retic system that is not giving adequate coverage. Likely reasons are blocked / broken/ misaligned sprinklers, change in pressure or sprinklers that have been replaced and don’t match the system. You check retic systems by finding out how many millimetres of water are being applied during each watering time. The pressure is measured by putting aerosol caps around your system and measuring the amount of water in each. If watering twice a week you need a minimum of 30mm on each day in normal conditions. These figures will let you know how long to run each station to get the required amount of water (stations may vary depending on pressure and sprinkler type). Different types of sprinklers put out vastly different amounts of water. Contrary to public perceptions, there is no time limit to how long each station runs for, as long as you water within your allocated watering day and time. Consideration must be given to drift from prevailing winds. Once you have audited your retic system and it is working satisfactorily you can look at the non wetting properties of your soil (hydrophobia). Hydrophobic soils repel water and this doesn’t allow for even distribution of water. The water makes runnels, following down through easier penetration areas, over wetting some areas and completely missing others. This is a natural occurrence in our dry, waxy sandy soils. So, if your retic system is working efficiently and you are still having problems with a dry lawn, use a spade to cut out a square of lawn 100mm deep from the stressed area. You can then compare it with an area of healthy lawn. If it is drier, you probably have hydrophobic soil (at the same time you can check for beetles and grubs). Applying a good quality wetting agent such as Bailey’s Gro Sorb, Soil Soak, Eezi-Wet or Aqua Soak before the first heat wave and reapplying as required (we recommend 4-6 weekly in summer) will improve and even out the water penetration through your lawn. Lawn should be fertilised lightly every 6 to 8 weeks with a quality fertiliser such as Sir Walter Buffalo Fertiliser or Baileys 3.1.1 or 4.1.1. This should continue even into winter to keep your lawn green and vigorous when others have gone dormant. A tonic of iron, manganese and nitrogen sprayed on the leaf does wonders. This is available at Bunnings. It is important that your lawn is mowed at a suitable height (above 20mm and higher in shade). This helps the lawn to keep its vigour and minimises porpoising (when the runners leap over each other due to the lawn being scalped). Scalping also stresses the lawn as it doesn’t have as much surface area in the leaf to retain moisture and promote photosynthesis and it is a known fact that the length of the leaf has a direct relationship to the length of the roots (longer roots make the lawn more drought tolerant). Pests (black beetle etc) and funguses (virtually unheard of in Sir Walter but more prevalent in other buffalo types and very occasionally in the couch varieties) can also be the cause of problems with your lawn, however these add up to less than 1% of turf related problems. You can check for beetles by soaking an area of a metre square by holding the end of your hose 150mm below the surface for several minutes and seeing how many float to the top. If you get 50 or more you may have a problem and can treat with a suitable pesticide and for Velvetene lawns (ONLY APPLICABLE FOR THE VELVETENE _ DO NOT USE ON ANY OTHER LAWN VARIETY) you can apply a salt solution (1kg pool salt dissolved in 5tl water). The black beetle is not a problem if you have less than 100 to a square metre of lawn. These little creatures generally do more good than harm as they are a natural way of aerating the soil. Do not treat for black beetle unless you have an infestation of them (100/sqm). Funguses can also be treated with a suitable garden fungicide such as Fongarid or Mancozeb plus depending on the type (be aware that you do need to read the label and make sure that it is compatible with your lawn type). Some lawns do become compacted. Like us they need air. Opening up the ground (de compacting / aerating) with a sturdy pitchfork (pushing it in and working it backwards and forwards) is one way in a small lawn or you can hire a corer from a garden hire company such as The Hire Guys. This will allow for air to circulate through the lawn and make it easier for water to penetrate. Finally spills including fertiliser, chlorine, petrol or BBQ fat will damage the lawn. Other secondary problems can be excessive thatch, dog urine and builders slurry (lime and mortar washed out of concrete mixers etc during building). Also, all lawns have a flowering and seeding time. Buffalo lawns flower in late spring and can occur more prevalently in a new or stressed lawn. Any problems can be minimised (or even eliminated) by checking the above points and you should be well on the way to having the best lawn in the street. Adequate water; 30mm on each of the two days allocated for watering. Regular mowing all year round – do not remove more then 1/3 of the leaf. We usually refer to African Black Beetles as Lawn Beetles, and place all sorts of blame on them for the ills of our lawns health, but is this a true belief, or an urban myth? And is it necessary to kill lawn beetles? Through the larva stage of their life cycle, the Lawn Beetle will chew away at the roots of our lawns as its primary food supply. With its roots being attacked, the natural assumption is to believe this is a bad thing, that without roots our lawns will surely die. So the Lawn Beetle must be Lawn Enemy Number 1. While the larvae most definitely feed on the roots of lawns, they generally keep moving throughout the soil, rarely concentrating on a single small area. Having a feed here and there, and never doing enough damage to a single root system to cause it to kill the lawn plant it is supporting. In actual fact, the lawn beetle could be thanked for its natural aeration of the soil and assisting lawns to replace their lost roots with new, younger and more vigorous roots. Lawn Beetle activity increases as temperature increases. This is exactly the same as the growth and health patterns in lawns, so as beetle activity increases, so does the ability of the lawn to repair itself. In fact, a lawn would have to be severely infested before the damage from beetles could ever outpace the lawns ability to repair and grow from any damage caused. And as lawns become dormant during the Winter, so do the beetles. 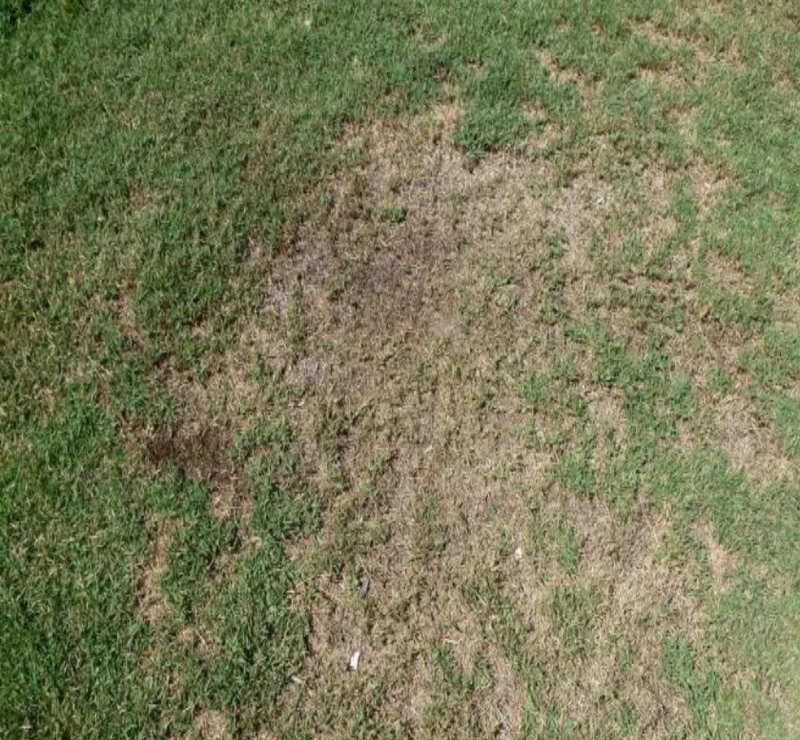 When lawns are suffering from poor health due to lack of care, lack of nutrients, or lack of water or sunlight, the damage factor of the beetles can outpace the repair abilities of the lawn. Also, beetles can rarely gather to great enough numbers to outpace the lawns ability to repair itself. In these cases, treatment to control and kill lawn beetles should be considered. How to test that it really is an 'infestation' of Lawn Beetle? The best way to test that you do in fact have an infestation of lawn beetle (an infestation is considered to be more then 100 lawn beetles in one (1) square metre of lawn) is to soak a small area of your lawn with a soapy solution. Approximately one bucket of soapy water should suffice. If one or two lawn beetles come up from the grass then the grass has not been infested with lawn beetle and you may have another issue pertaining to your lawn. If you do have a significant number of beetles come up then it may be time to treat the lawn for lawn beetle. How to treat my lawn for Lawn Beetle? In the rare case that control of African Lawn Beetle may need to be sought, simple dusts are available in most nurseries for a few dollars. Once applied to the lawn, the dust is then watered in, and dead beetles will continue to appear on the lawn surface for up to a month later. It should also be noted that applying any type of chemical to your lawn may cause discolouration and this method is only encouraged if your lawn has a true infestation. For Velvetene lawn (please note this is only to be used for Velvetene lawns) you can apply a salt solution to the lawn. Approximately 1 kg of pool salt to 5 litres of water applied to your Velvetene will eradicate the infestation and give your lawn that extra boost it needs to. Superior Lawns is proud to be part of the Lawn Solutions Australia team. What does this mean for you? It means we provide you with a unique 10 year Lawn Warranty on our Sir Walter Buffalo (DNA certified) and Nullarbor Couch (Wintergreen) grasses. 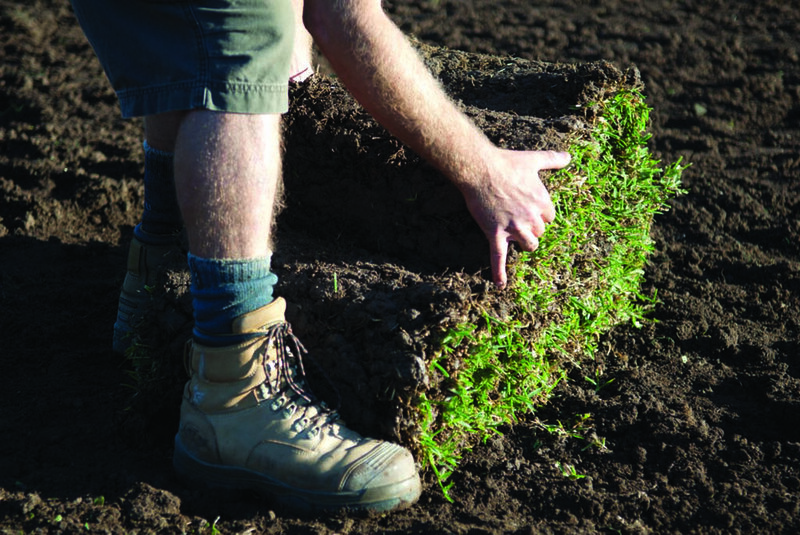 The unique 10 year Lawn Warranty certifies that turf supplied by us has been grown and harvested to stringent standards. That it has been inspected upon harvesting (according to the Lawn Solutions Australia policy and guidelines) to be free of weeds and disease before delivering, is freshly cut and, for a period of 10 years from installment, will perform to its maximum potential in its new environment (subject to conditions). No other turf supplier in Australia can offer this same guarantee of quality.